Renal impairment, a common comorbidity of multiple myeloma, occurs when the body’s kidneys cannot efficiently filter waste products from the blood. Associated with poor survival outcomes, renal impairment can limit treatment options, as well as complicate dosing for people with myeloma. In search of more effective and well-tolerated therapies for myeloma patients with renal impairment, Dr. Ruben Niesvizky and colleagues analyzed the results of the phase III ENDEAVOR study – a comparison of carfilzomib plus dexamethasone versus bortezomib plus dexamethasone in over 900 relapsed/refractory myeloma patients – with a particular focus on renal impairment. Findings from the subgroup analysis were recently published in the American Society of Hematology’s Blood journal, with Dr. Niesvizky listed as senior author. Researchers categorized outcomes data based on patients’ degree of renal impairment at the start of the original study. They noted that patients treated with carfilzomib plus dexamethasone showed improved progression-free survival (PFS) and overall survival (OS) outcomes versus patients treated with bortezomib plus dexamethasone, regardless of the level of baseline renal function. 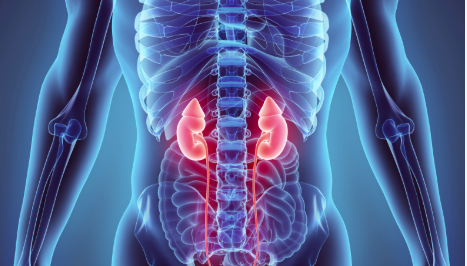 These results suggest that carfilzomib plus dexamethasone may overcome the poor prognosis associated with renal impairment and should be considered a new standard of care for this patient population. Further, the research team discovered that in both treatment arms (carfilzomib plus dexamethasone and bortezomib plus dexamethasone), patients who achieved complete renal response had superior PFS and OS rates as compared to non-responders, confirming the association between improved renal response and improved survival outcomes. Patients treated at the Myeloma Center have access to the world-class multidisciplinary care available throughout Weill Cornell Medicine and NewYork-Presbyterian Hospital. Our team is dedicated to treating the whole myeloma patient, including management of renal function and other comorbidities.